Home » Food » Apples, Apples, Everywhere! One last blast. 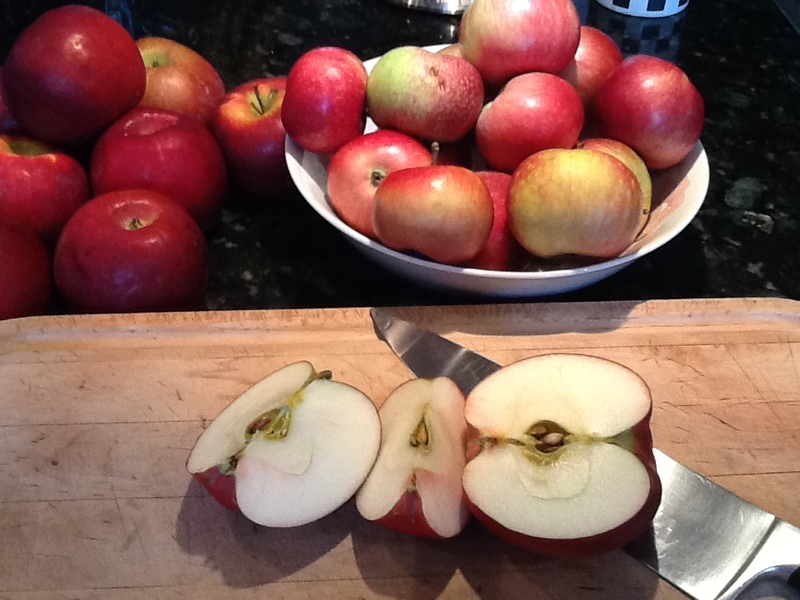 Must get “rid” of these apples before the fruit flies invade my home! I’ve got the juice extracted to make a couple batches of jelly, a pot on already the stove cooking down to make apple butter, another about to go on to make a batch of apple sauce and now will start on some apple crisp and maple-apple muffins. It already smells wonderful in here! For breakfast, I made the boys some apple crêpes. They passed muster! Hmmmm… now what else shall I make? This entry was posted in Food and tagged apple butter, apple crêpes, apple crisp, apple jelly, apple sauce, apples. Bookmark the permalink. I finished cooking and baking all my apples this week, but reading you makes me feel like going apple picking all over again! Need to try your maple/apple muffins, great combo! I’ll get you the maple-apple muffin recipe – it’s a healthy version, to boot! Mmm… delicious I’m sure and the smell … What variety of apples are those? It was a mixture of four types: Cortland, Redcort, Spartan and Paula Red. I could have added some Honey Crisp but they are just too damn good to eat to “waste” in a recipe! Looks jummy! Homemade apple sauce and apple pie are good too. Absolutely! I’m not that successful with the whole prie-crust thing! I did manage to do one recently – must re-try to find out if it was a fluke or a new success! I have a really easy Dutch recipe. The key to the apple pie crust is the right oven temperature. The crepes looked yummy by the way and I’m sure your boys gobbled them down in no time! 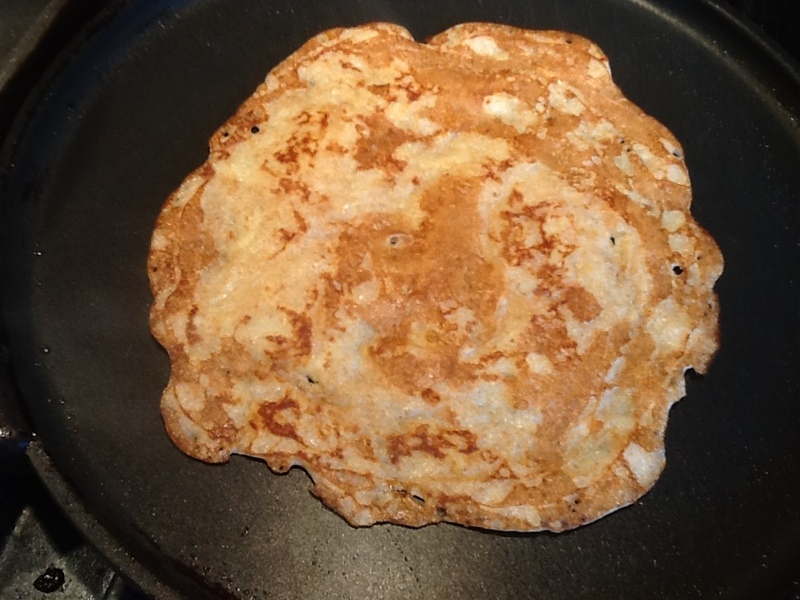 And I’m not a pancake-girl; I always make crêpes…. delish for sure! Thanks for posting and have an excellent day!